The Kicking Horse Trail. Cover. Among the long-closed regions of wonder and romance into which a way has at last been found are the Canadian Rockies. Each year the door has been opened a little farther, until now a good part of the most beautiful sections of these glorious ranges is within the motorist’s reach. 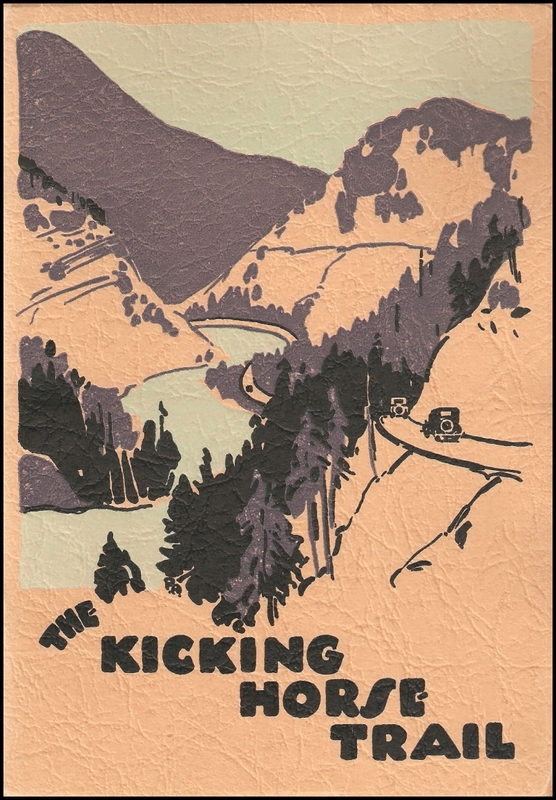 The completion of the new highway, “The Kicking Horse Trail,” marks the fulfilment of one more daring engineering conception, the building of a transmontane highway through the heart of the Central Rockies, across the difficult regions traversed by the Canadian Pacific railway.